​Rachel studied at The Royal Welsh College of Music and Drama where she gained a first class honours Bmus Degree in voice under the tutelage of Janet Price, Catherine Roe-Williams and Ingrid Surgenor. In her first year, Rachel was entered for the prestigious Kathleen Ferrier Junior Bursary award and was the first young singer from the college to win the competition. In 2009 she also won the title of Music in the Vale's Young Singer of the Year competition. She was also a finalist in The Thelma King Award for Singers at the Mid Somerset Festival in 2011. ​Previous operatic roles include Mrs Jaffett (Noye's fludde), the Countess from Mozart's Marriage of Figaro, Elisetta (Il matrimonio Segretto), Angelica (Orlando) and Dorthee from Massanet's Cendrillon. Rachel has also been the understudy soprano soloist to soprano Amanda Roocroft in the RWCMD college chorus performance of Brahms Requiem and has also been a participant in Masterclasses with Nathalie Dessay, James Gilcrest, Micheal Pollock and Elin Manahan Thomas. She has also performed with many choral societies and conductors as a soloist ranging from Crickhowell Choral (Maybel in Pirates of Penzance), Vivaldi's Gloria with The Harcoombe Singers and Mozart's Requiem conducted by Adrian Partington in Llandaff Cathedral with the RWCMD chamber choir and Adrian Lucas in Bristol Cathedral (Come and Sing Mozart). 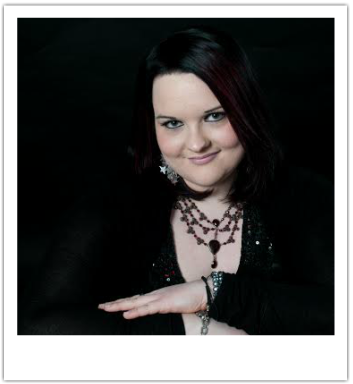 Aside from performing, Rachel also teaches singing around South Wales and runs her own private music lesson business RLM Professional Singing Lessons and Vocal Coaching. She has taught for a variety of Stage schools across South Wales and currently works for The Vale School of Music and Suzanne Scale Performing Arts Academy. During March 2011, Rachel was chosen to travel to China as an ambassador for RWCMD and to teach singing at the Chongqing Arts School in Chongqing. She was also in China as a guest soloist for the Welsh Assembly Government office and also for the official Wales Week reception. Previous engagements with the Cardiff Bach Choir include ‘The Messiah’, Schubert’s ‘Mass in E flat’, Bach’s ‘Ascension Oratorio’ and Mozart’s ‘Requiem’ and ‘Vesperae solennes de confessore’ Rachel has also been guest soprano soloist for the Chepstow Male Voice Choir and the Llandaff and Crickhowell Choral Societies in their joint concert of Verdi’s Requiem. Aside from her solo work, Rachel is also a member of Triptych Trio who specialise in performing Classical, Romantic and 20th century works.